Needles to say, I was extremely honored that he had interest in having us capture his big day. The first time we met up to talk about the wedding was also the first time we got to meet the beautiful Dani. Only a few minutes into the meeting, we could tell these two are absolutely 100% meant to be together. Gabe's outgoing and outspoken personality perfectly blends in with Dani's classy and chic presence. They are absolutely made for each other. After talking to them a little, we thought that Yale university would be a very fitting place for them. The beautiful architecture really matches their style perfectly. Overall, we couldn't have asked for a better couple to start our 2017 engagement shoots. 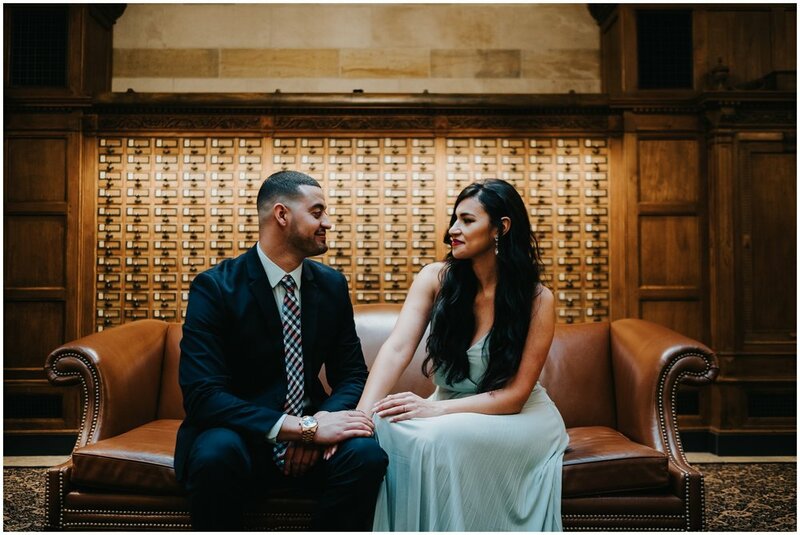 They have really set the bar high and we cannot wait until their big day at the beautiful Villa Barone Hilltop Manor in Mahopac, NY!